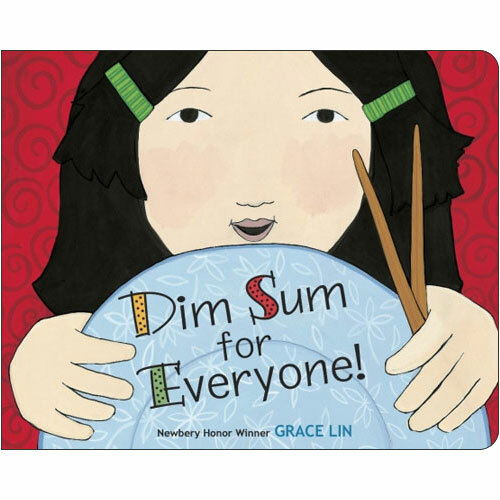 A young girl and her family visit a bustling Chinatown dim sum restaurant and pick their favorite little dishes from the steaming trolleys filled with dumplings, cakes, buns, and tarts. And as is traditional and fun, they share their food with each other so that everyone gets a bite of everything. Dim Sum for Everyone! 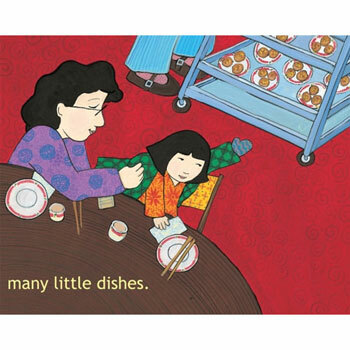 is aimed at young children from 2 - 5 years old, and celebrates a cultural custom and a universal favorite activity - eating!